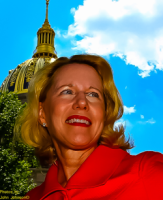 For approximately 30 years, Karen H. Miller has represented corporations, businesses and physicians in WV relative to litigation, arbitration and mediation mainly in the area of labor and employment law. Our lawyers at Karen H. Miller, Attorneys at Law are committed and knowledgable in all types of general, civil litigation in state and federal courts, including cases involving wrongful termination, breach of contract, business litigation, wage and hour matters, National Labor Relations Act, medical malpractive defense, credentialing, Workers' Compensation, and occupational health and safety. Karen H. Miller, the principal lawyer for the firm, emphasizes in-house training and frequently presents seminars to companies and groups focusing on lawsuit prevention, the firm also litigates when necessary. Historically, professionals throughout WV have learned from Karen H. Miller's comprehensive seminars on how to deal with distressing legal issues. If you are in the midst of a dispute, an experienced WV labor and employment law attorney from our firm can help you resolve workplace labor conflicts and address employment issues. We act as general counsel for a wide range of businesses and corporations. We are highly trained and have more than 30 years of experience in the labor and employment law arena.